As a family-owned and member of the Better Business Bureau since 1989, Truby's Window Decor/Blinds Direct by Bud has been satisfying customers throughout Albuquerque, Rio Rancho and neighboring communities by providing the highest quality window fashion solutions at an affordable price. For more than 20 years we have offered the finest of window coverings that fit the individual needs and style tastes of both residential and commercial clients. 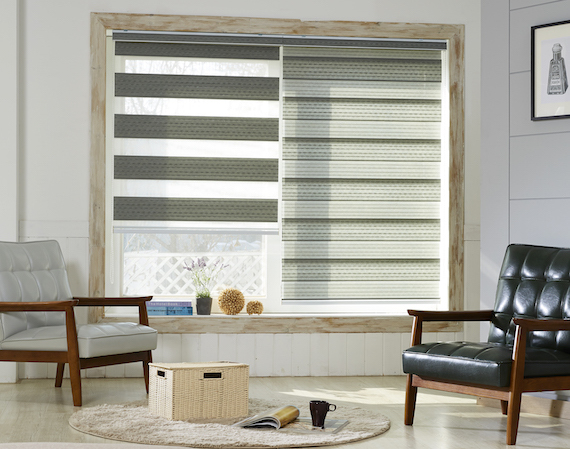 Our collection of window coverings includes the following: blinds, roller shades/solar shades, woven woods and vertical woven woods, panel tracks, horizontal wood blinds and faux wood blinds as well as wood and vinyl shutters, and more. We have the ability to motorize many of our products with Somfy Motors. Most importantly, we strive for customer satisfaction by providing not only quality products but professional installation, service and blind repairs. Let us help you with your window covering need today. Contact us for a free-in-home consultation at 505-255-0100 or send us an e-mail us at trubys@aol.com.